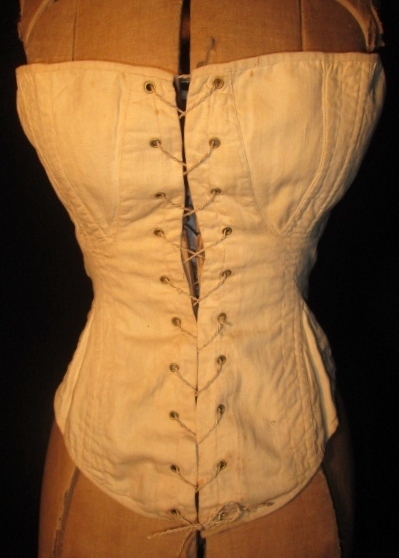 Cute early corset, about 1830-45, I would say, the unusual shape formed by two darts at the bust, with a tapered waist, the hip in front also flaring, helped along by the two darts. It has metal grommets, it's edged with twill tape, top and bottom, the lacing is a replacement. 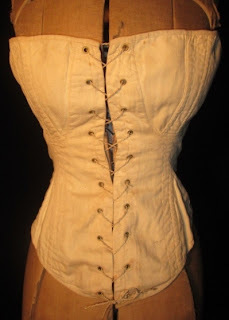 It's lined with what looks like the same fabric, a substantial jean cotton. 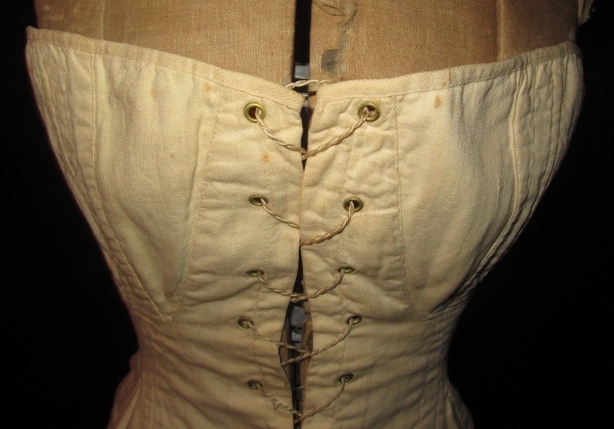 There are 1/2" openings inside, one on each side of the lacing in front, two right next to each other in the center back, for a busk. 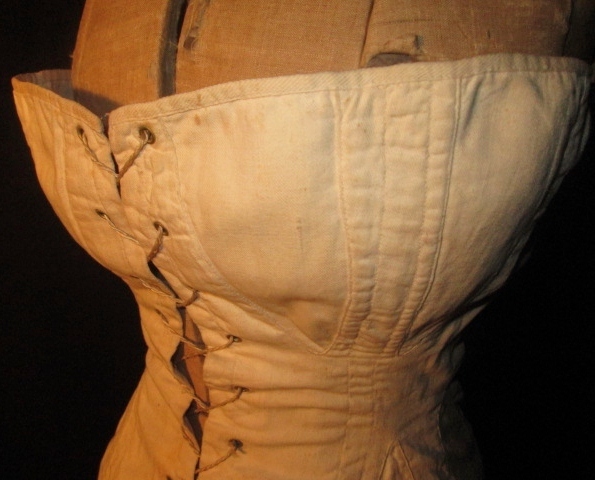 It measures about 36" around at the bust, 23 1/2" at the waist, 26 1/" at the hip. It's about 13" long in front, 12 3/4" long in back. There are some scattered age spots, general discoloration, no holes, tears, or weaknesses. It's entirely hand sewn. 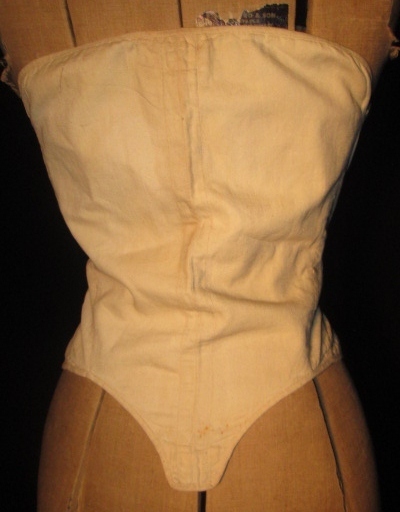 This is that odd time period when underwear got *weird*. 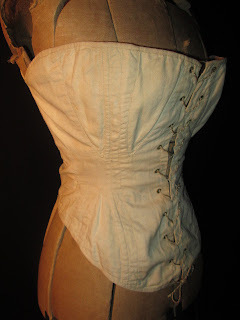 This is what happens when you take a lovely Regency long stays and mix it up with the later 1850's corset. It looks all sorts of funky.